Marijuana has long been stigmatized as a drug used by deadbeat hippies and people on their way to becoming chronic drug users. While some health experts tout cannabis as a gateway drug to more serious drug abuse, other medical expert are continuing to sound marijuana’s benefits in treating some patients with chronic illnesses. As more states open up to the idea of legalizing cannabis for medicinal purposes, the public may wonder about the true benefits of medical marijuana. Those patients who do opt for this alternative treatment may likewise wonder how they can stay within the law as they use this remedy for their illnesses. Marijuana proponents consistently argue that this drug offers natural pain relief and healing that cannot be matched in over-the-counter or prescription drugs. The plant grows naturally throughout the country, and when it is harvested for medicinal use it does not come into contact with the chemicals, preservatives, and coloring that is commonly found in most commercial medications. People who use medical marijuana report quicker and longer lasting pain relief, as well as faster healing for some of their symptoms. People who have debilitating and chronic illnesses like MS, lupus, and cancer often report that medical marijuana offers better relief of the symptoms that go along with these diseases. For example, cancer patients often report that they feel tired, weak, and sick to their stomachs, particularly after they undergo a round of chemotherapy. However, when they smoke medical marijuana, their weakness and nausea subside. Likewise, people with MS who use medical cannabis report that their weakness and tremors often subside when they use it. Some report being unable to find the same relief with their prescription medications given to them by their doctors. Many chronically ill patients wage continuous battles against their appetites. Either they are too sick to eat or their medications make them so hungry that they binge. People who smoke medical marijuana, however, report that their appetites remain under control and that they eat normal, healthy meals without feeling sick or hungry. In fact, many medical marijuana users never experience the “munchies” that are so commonly associated with cannabis use, though this continues to be a favorite punch line of people who misunderstand this herbal treatment. While more states are legalizing cannabis, it is still entirely possible that people could be questioned about their possession of the substance. If they are questioned by law enforcement, patients might wonder how they can best respond to the police questions posed to them and how they can prove that they are in possession of the marijuana legally. Taking these tips into consideration can help people avoid drug charges for marijuana possession. Medical marijuana patients would fare well to have an attorney on retainer. Law firms such as Katz & Phillips, P.A. are experienced enough to handle occasions when patients are detained and questioned by law enforcement. The consumers can allow their attorney to fax, email, or mail proof of their legal possession of cannabis. 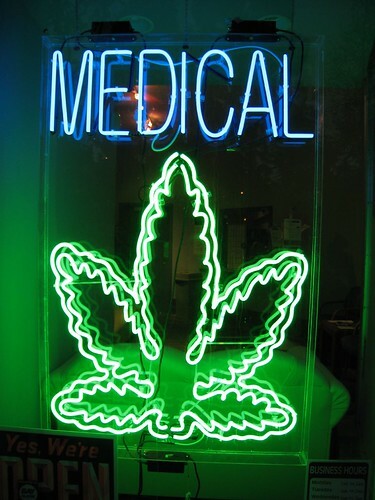 People who use medical marijuana should ask their doctors for proof of their legal use and possession of it. Most doctors are happy to provide a letter or prescription card showing that these individuals are legally entitled to use this treatment. If they are questioned by police, particularly if they travel into a state that still has laws against its use, these patients can perhaps avoid jail time and fines. More people are opting to use medical marijuana for their chronic illnesses. People who use it can benefit in significant ways and take necessary steps to make sure they are in possession of this medicine legally. Theda K. Rogers is a freelance copywriter who was diagnosed with MS. Though she hasn’t had a need to use medication to treat her symptoms, she urges others to research attorneys like Katz & Phillips, P.A. if such a need arises. This entry was posted in Guest Posts and tagged advice, article, Cannabis, choice, chronic illness, Conditions and Diseases, coping skills, drugs, guest blogger, guest post, health, illness, lupus, Marijuana, Medical cannabis, Pro-Legalization, stress, Systemic lupus erythematosus. Bookmark the permalink. Thanks for sharing this valuable post… and yes medical marijuana report quicker and longer lasting pain relief, as well as faster healing for some of their symptoms.